i belong to this amazing group of cookie artist. we all make custom decorated cookies. 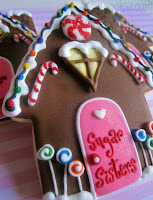 whether its for a hobby or our business we all share this deep passion for detailed sugar cookies. this was our second cookie swap and the theme was "Christmas" how fun right? well i decided to make a cute little gingerbread house. 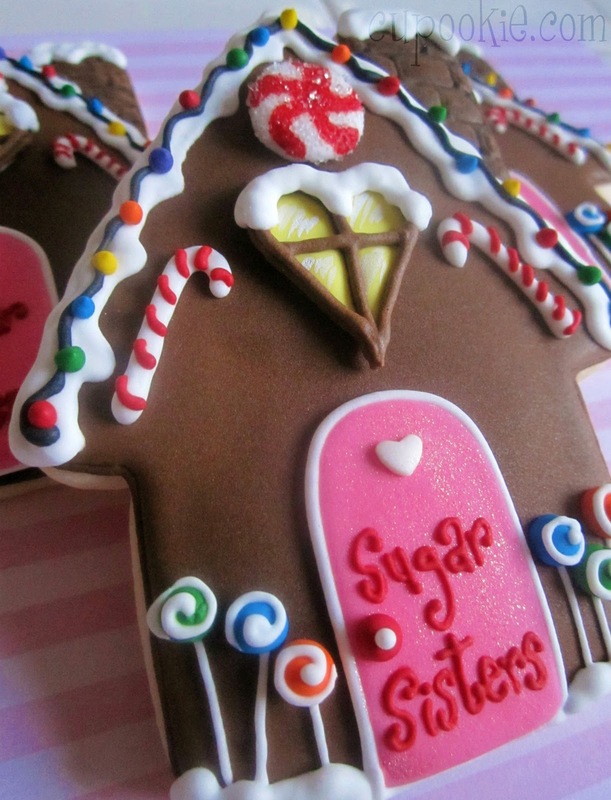 i have always been fascinated with gingerbread houses. they are adorable and make me feel like a kid again. feeling like a kid again is always FUN!